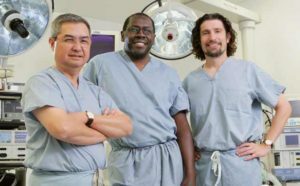 An increasing percentage of surgeries are being performed on an outpatient basis at local hospitals and ambulatory centers, thanks to advancements in surgical techniques and pain management – a “win-win-win” for patients, hospitals and insurance providers alike. Dr. Barry Barnes performs outpatient surgery at FHN in Freeport. About 75 percent of elective surgeries there are performed on an outpatient basis. Few trends in U.S. medical practice have been as dramatic as the shift toward outpatient surgeries. Along with routine procedures, such as tonsillectomies, appendectomies, gall bladder and cataract removal, many other surgeries now require patients to be in a hospital for one day or less. The benefits are significant, for hospitals, insurance providers and patients alike. Hospitals and surgeons find scheduling to be easier; most patients find recuperation to be more restful at home; surgical site infections are fewer; and the financial cost to everyone is lower, making elective surgeries more accessible to more people. In dollars and cents, outpatient (also called ambulatory) surgery is about one-fifth the cost of equivalent inpatient surgery, according to the “Hospital-Based Ambulatory Surgery 2007” report by the Healthcare Cost & Utilization Project, a federal/state/industry partnership that shares data collection. The report analyzed costs of all surgeries performed in 28 states in 2007. The mean cost was $6,100 for outpatient, versus $39,000 for equivalent inpatient surgeries; nearly 58 percent of hospital surgeries performed that year were outpatient, and the number has grown each year since. Northern Illinois and southern Wisconsin are no exception to this trend. Fischer began her career as an operating room (OR) staff nurse in 1973, later serving as director of surgery for nearly seven years. She moved to Quality Improvement for 15 years and returned to the OR in 2001. The improvements that have occurred during her career both astound and please her. 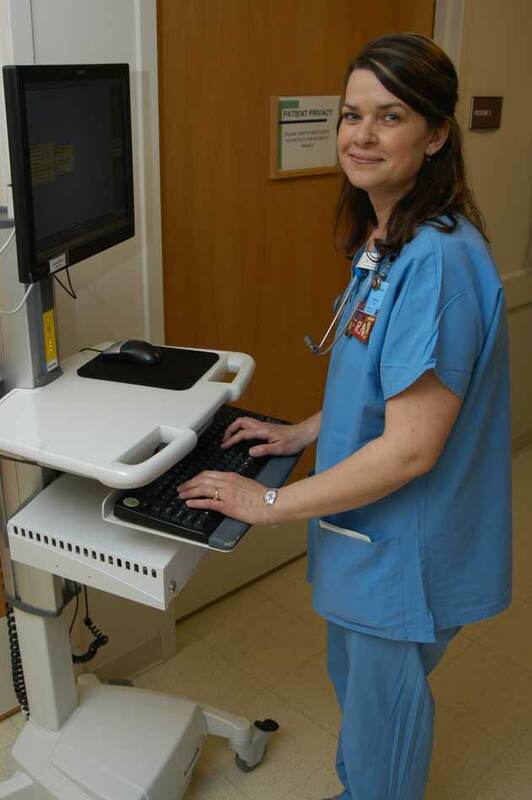 Christine Javurek, RN, works on a COW (computer on wheels) in the Outpatient Surgery Department of SwedishAmerican Hospital. Fischer cites cataract surgeries as an example of the progress of outpatient practices. The procedure once took up to an hour to perform, and patients spent up to a week in the hospital, their heads immobilized during much of that time. Today, most cataract patients are in and out of the hospital in less than half a day. Other common outpatient procedures include knee arthroscopic surgeries and cartilage repairs that don’t require incisions. Anterior cruciate ligament repair, which repairs trauma commonly incurred by athletes, is also performed on outpatients. Kidney stone removal, gynecological procedures such as D&Cs and minor bone fracture repairs are routinely performed on outpatients at Beloit Memorial, as well. Fischer explains that the surgical calendar has always been problematic, but is easier to maintain now, with greater convenience to patients and surgeons. With strict standards for safety, highly-trained staff and surgeons, and the latest equipment, there’s every reason to believe each outpatient will have a good outcome, she says. Outpatient surgeries cost about one-fifth as much as equivalent inpatient surgeries, according to one national study. Here, Dr. Lisa Reinike performs an outpatient surgery at Beloit Memorial Hosptial. In Rockford, outpatient service is increasing at SwedishAmerican Hospital’s surgical center, both in numbers of patients and scope of procedures. Ann Gantzer, chief nursing officer and vice president of nursing, outpatient services, has seen this trend advance tremendously during her 30-year career. 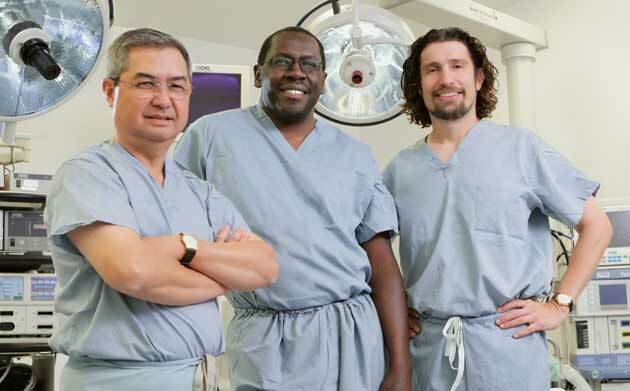 At SwedishAmerican, surgeries are scheduled through the perioperative department. Pre-operation screening for outpatients depends on whether local, general or limited anesthesia will be used. In addition to gynecological and laparoscopic procedures, SwedishAmerican’s outpatient surgical center treats patients for ear, nose and throat (ENT) problems; thyroid disorders; some podiatry problems; carpal tunnel; and hand injuries, including small-scale broken bones. Gantzer says outpatient services are a “win-win-win” situation, with patients, the hospital and insurance providers all reaping benefits. Only if patients experience extreme pain, nausea or other problematic conditions do they stay longer, Gantzer says. Drs. Rafael Castro, Barry Barnes and Anthony Zappia at FHN, Freeport. The surgery itself is just one part of the healing experience SwedishAmerican offers to patients and their families. Last year, SwedishAmerican introduced therapy dogs into the surgical waiting room. They provide family members with a soothing distraction from the anxiety that naturally occurs while waiting for loved ones to return from their surgeries. 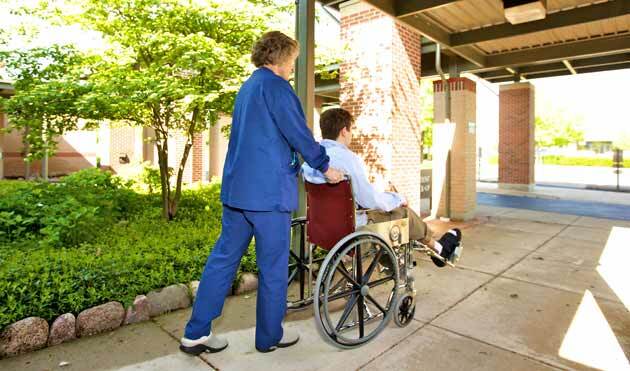 Outpatient services don’t end when patients are released from the hospital. Follow-up calls are made to see how patients are doing, if their pain levels are acceptable and whether or not they have become ill at home. This also gives Bloom’s staff a chance to gather feedback about the entire surgical experience. FHN services range from the “bread-and-butter,” such as thoracic, gall bladder, hernia, minor breast, ENT and other soft tissue procedures, to major operations requiring hospital stays, such as serious head and neck procedures, bowel reconstruction and orthopedic surgeries. FHN also performs a wide range of state-of-the-art laparoscopic surgeries. As a general surgeon, Barnes primarily performs hernia, gall bladder and some minor vascular procedures for outpatients, and breast and bowel surgeries for inpatients. He believes the advancements in outpatient technologies are safer overall and allow patients to recover in the comfort of their homes, with less risk of hospital-based infections. They also offer lower out-of-pocket costs. When it opened 17 years ago, Rockford Ambulatory became the region’s first free-standing, multi-specialty outpatient surgical facility. Minimally-invasive techniques and expansion of robotic capabilities are supporting this trend. The growing demand for outpatient services isn’t a recent development; the first U.S. ambulatory surgery center opened in 1972. 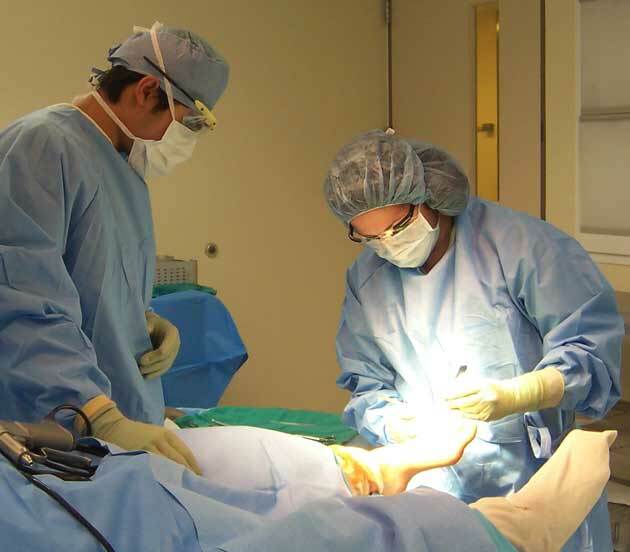 On the leading edge of the emerging trend was Rockford Ambulatory Surgery Center, one of just 1,500 outpatient facilities nationwide when it performed its first procedure in September 1994. Today, there are more than 6,000. Arends says the center, at 1016 Featherstone Road, was the region’s first multi-specialty, free-standing facility dedicated exclusively to performing outpatient surgical services. Today it offers patients a wide range of elective surgical procedures including orthopedic, gynecological, ophthalmological, cosmetic, urological and podiatric. It also offers general and ENT surgeries and pain management. Arends notes that the surgical site infection rate at Rockford Ambulatory is only 0.1 percent, compared to a national average of 2 to 3 percent for inpatient hospital stays. Since opening, the center has performed about 70,000 procedures, though the volume has dropped slightly in recent years. 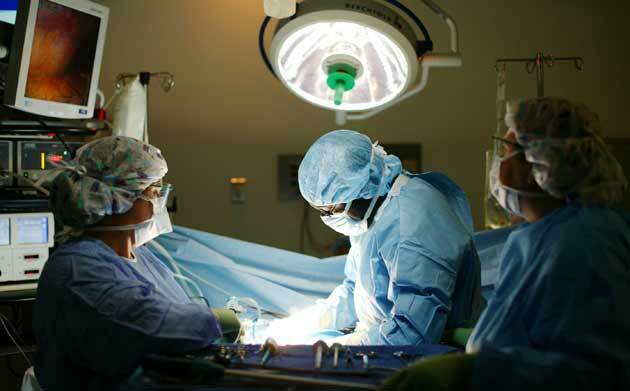 “We perform elective surgical procedures, and in hard economic times, patients tend to defer surgery unless it’s absolutely necessary,” says Arends. 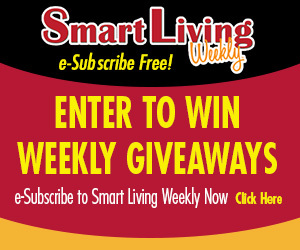 This entry was posted on Friday, July 15th, 2011 at 12:00 pm	and is filed under Health & Fitness, Top Posts. You can follow any responses to this entry through the RSS 2.0 feed. Both comments and pings are currently closed.